Do you think your liver is safe because you don’t drink? The surprising cause of most liver failures in the U.S.
I’ll bet you think that if you avoid alcohol and don’t have a hepatitis virus, your liver is safe. But that’s a pretty risky assumption. Today there are all sorts of things that can affect your liver function. For example, you may already know that obesity and diabetes places you at a very high risk of liver problems. And high fructose corn syrup tops the list as the main culprit. It has strong ties to both diabetes and obesity… and liver disease. But there’s another source of liver disease that doesn’t get nearly enough attention. You may have never even heard about it before. This isn’t a viral form of hepatitis, but it’s very similar. It’s something that can happen when you use certain pharmaceutical drugs. Some of them are sold over-the-counter. Others require a prescription. #1 Cause of Liver Failure in the U.S.
Acetaminophen is a known pain reliever. And I find that some of my patients reach for it several times a day to relieve minor aches and pains. After all, it’s sold everywhere. How harmful can it be? Well, it’s a lot more dangerous than you would think. You see, acetaminophen is responsible for almost 79,000 ER visits each year. It also tops the list as the leading cause of liver failure in the U.S.
Acetaminophen isn’t the only “safe” drug that can destroy your liver function. Certain NSAIDS, statins and antibiotics also come with their share of risk to the health of your liver. Drugs like these account for more than half of the acute cases of liver failure that occur here in the U.S. each year. Now, drug-induced hepatitis shouldn’t be taken lightly. In fact, it can generate even more damage to your liver than viral hepatitis. That’s because it damages a part of the liver called the “parenchyma.” This is the part of the liver that filters blood and removes toxins. When it’s not working right, you’re body can’t get rid of these toxins. They just keep building up in your system. A malfunctioning liver also messes with your nutrient uptake and hormonal balance. However, you may not even be aware that anything is wrong with your liver. That’s because it’s not easy to diagnose. Initial symptoms – such as nausea, fatigue and loss of appetite – are non-specific. They could be signs of just about anything. But if you ever experience acute liver failure, you’ll recognize it in a heartbeat. Abdominal swelling, jaundice, nausea and confusion can strike with a matter of days. If this occurs, you could experience some serious complications. It could even put you on the transplant list. 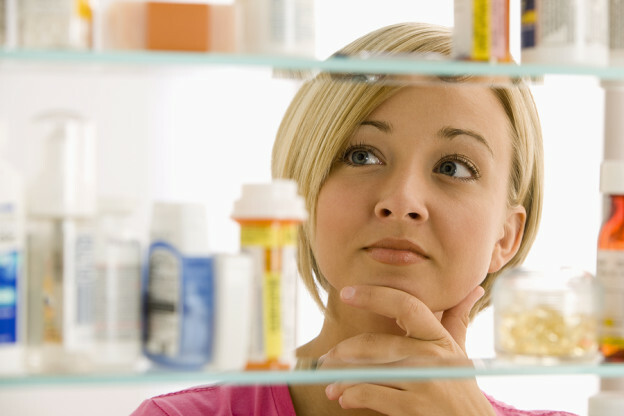 Unfortunately, there are a lot of medications that have a liver warning on the label. And if you take any of them, I heartily suggest you have your liver enzymes checked regularly. Better yet, talk to your doctor about other alternatives – including ones that are natural. Some of the hardest-hitters include every-day pain relievers such as acetaminophen, ibuprofen, diclofenac and naproxen. A lot of antibiotics are on the list too, like tetracycline, erythromycin and amoxicillin-clavulanate. Sulfonamides, statins and chlorpromazine are also hard on your liver. In the meantime, your liver is an amazing organ. It’s one of the few that can regenerate and repair partial injuries. So if you catch the problem early enough and stop taking the drug that’s causing the damage, you have a great chance of recovering full liver function. N-acetylcysteine (NAC) is the first line of defense for people who go to the emergency room with acetaminophen toxicity. When it’s administered within ten hours of acetaminophen poisoning, the chances of recovery are phenomenal. You can be proactive by taking 600 mg. twice daily. Milk thistle contains flavonoids that support liver function. Take 420–600 mg. of silymarin per day from an herbal extract of milk thistle standardized to 80 percent silymarin content. Phosphatidylcholine helps to prevent fat from being deposited in the liver. It can also help break down scar tissue and bolster the function of liver cells. Take 900 mg. a day of this nutritional supplement to improve liver function. You can’t survive without your liver, so make sure you take action immediately to keep it in top-notch condition. Budnitz DS, et al. Emergency department visits for overdoses of acetaminophen-containing products. Am J Prev Med. 2011 Jun;40(6):585-92. Drug-Induced Hepatotoxicity: A Review. Aashish Pandit, Tarun Sachdeva and Pallavi Bafna. Journal of Applied Pharmaceutical Science. 2(05); 2012: 233-243. Green JL et al. Oral and Intravenous Acetylcysteine for Treatment of Acetaminophen Toxicity: A Systematic Review and Meta-analysis. West J Emerg Med. 2013 May; 14(3): 218–226. Duric M, et al. “Phosphatidylcholine functional foods and nutraceuticals: A potential approach to prevent non-alcoholic fatty liver disease.” European Journal of Lipid Science and Technology. Volume 114, Issue 4, pages 389–398, Apr 2012. This entry was posted in General Health, Great Immunity and tagged acetaminophen and liver problems, drug-induced hepatitis, how can I keep my liver safe, prescription drugs and liver failure, what causes liver failure on April 15, 2016 by Taylor Donnini.